In an effort to maintain a relevant and up-to-date set of instruments to facilitate international tax agreements and transactions, the Organization for Economic Cooperation and Development has published revised versions of its vital documents. 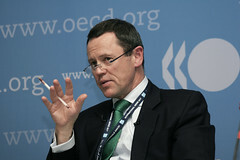 The Organization for Economic Cooperation and Development (OECD) has updated and modernized the OECD Model Tax Convention, the OECD’s Transfer Pricing Guidelines for Multinational Enterprise and Tax Administrations, and the Report on the Attribution of Profits to Permanent Establishments to include several tax features missing from previous versions. The changes in the 2010 revision of the Transfer Pricing Guidelines are the first update to the document since their original release in 1995. The new version is intended to encompass and address nearly 15 years of developments in common transfer practices developments. The update consists of the inclusion of the practical application of transactional profit methods and the performance of comparability analysis in deciding the optimal transfer pricing evaluation methods. The new and updated materials covered in the Guidelines are expected to be invaluable for Governments worldwide in the fair assessment of the national transfer pricing policies. It is envisioned that the new version will greatly reduce the occurrence of tax evasion through transfer pricing. Under the new revision, released late last week, the OECD Model Tax Convention has a new section on the tax treatment of collective investment vehicles, like mutual funds or investment trusts. The tax liabilities of state-owned enterprises of Convention-member nations are also revised. The tax treatment issues arising from common telecommunication transactions have been updated to contemporary standards. The section concerning the tax obligations of employees who work for a short duration in the corresponding Convention-member nations has also been revised. The updated Convention features the complete re-write of the section concerning taxation of business profits. The Report on the Attribution of Profits to Permanent Establishments was updated to reflect the changes presented in the Model Convention, specifically with the aim of increasing taxpayer certainty to how profits will be attributed to permanent establishments.